All of our teachers have been trained by the Tai Chi Club and have a minimum of 5 years of training. Teachers must attend a minimum of 1 or 2 workshops per year that are organized by Tai Chi Club. All teachers must also meet our Certified Teacher Requirements. 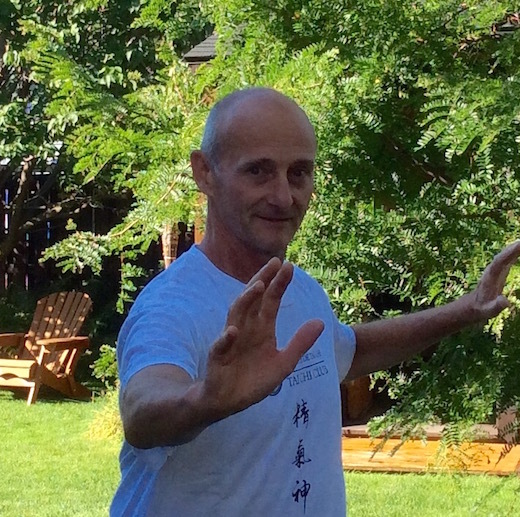 Sylvain Deschênes has learned Tai Chi chuan from Master Chui Lap Kan since 1997. 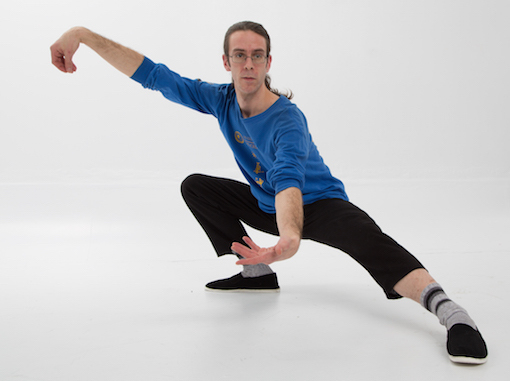 Sylvain Deschênes’ regard for Tai Chi is based on his earnest desire to attain equilibrium of body and spirit. Master Chui Lap Kan, a renowned expert in Yang style Tai Chi Chuan was his mentor and guide until he passed away in January 2004. He also studied control techniques (Chin Na) under Master Lee Man Charn (Wu style). Sylvain Deschênes met Master Dong Zeng Chen with whom he formed a very close bond. He has learned to perfect his Tai Chi by concentrating on its basic principles. In addition, he learned the Hao style and Push Hands (Tui Shu) from Master Dong. Now he up-date and improves his Tai Chi techniques following the same Dong family under Master Alex Dong. As well, he has been practicing regularly the tree posture (Zhan Zhuang) and meditation. 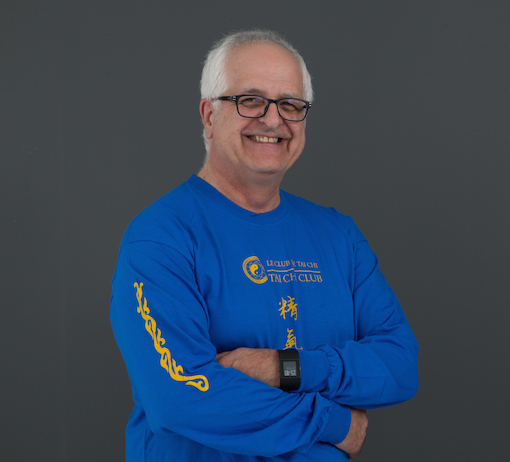 Sylvain Deschênes is a co-founder of the Montreal Tai Chi Club and l’Amicale Québécoise du Tai Chi Chuan, he is also most involved in the related disciplines. He assisted Master Chui to teach since 2000, he begins to teach independently since 2004. He also collaborates in forming quality instructors in order to make better known the less traditional forms of Tai Chi and to maximize the well-being of its practitioners. Helga was born in Germany and has spent most of her career working for various hotel services in Europe and Canada. It is this career that not only brought her to Canada, but also allowed her to work with the public. Helga wanted a way to get fit and healthy that was kind to the body. She heard about Tai Chi and how it conditions the body and the mind using flowing, mindful and precise movements. This interested her so she set out to learn more and in the late ‘90s began her search for a Tai Chi school in the Montreal area. In 1997, she met Master Chui Lap Kan and his team, was impressed by his knowledge of the art, and decided to begin her Tai Chi with the master. Master Chui and his daughter, now Master Grace, noticed Helga’s dedication early on, and helped her develop the skills she would need to succeed. 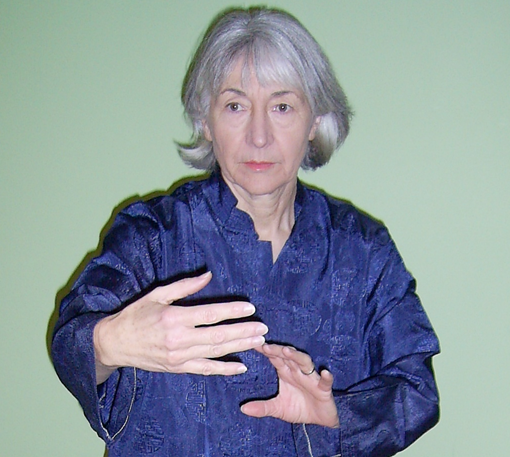 Since then, Helga has given many demonstrations of Tai Chi in Canada and China, and she has participated in numerous seminars and workshops given by Masters Dong Chen Zhen and Alex Dong. She was a Tai Chi teacher’s assistant for a few years, and became a teacher in 2005. A major highlight occurred in November 2006, when she attended the Tung Ying Kit International Gathering in Hong Kong. Her primary goal as a teacher is to share her knowledge of Tai Chi Chuan, Yang style, to those who seek it, and to demonstrate the benefits of the art. Helga learned from her lifelong work with the public that patience, simplicity and empathy are key to ensuring her students get the most from her lessons. Helga believes that it is important for practitioners to show respect for the traditional aspects of Tai Chi, as this more than anything, demonstrates appreciation to the masters who created this beautiful martial art. Jean-Pierre Raiche has been studying Tai Chi Chuan since 2002 with Chui Lap Kan, after 2004 Jan. he has learned continuously with Sifu Grace. In 2007 he has passed all requirements of TCC and certified by TCC. He continues learning without stopping. Jean-Pierre admires Tai Chi is its simplicity and complexity simultaneously. How such simple movements can grab our attention without ever tiring. TAI CHI is renewed according to our perception and time we give him. I t allows us to improve both physically and mentally. 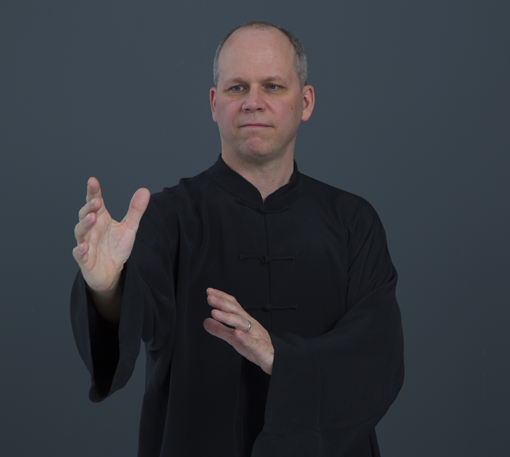 An engineer by profession, Barry Lee has been studying Tai Chi Chuan Chuan (Yang style) since 1999, under Sifu Chui, Oi Ching (Grace), to achieve better balance in his life and to better cope with daily stresses of the corporate world. 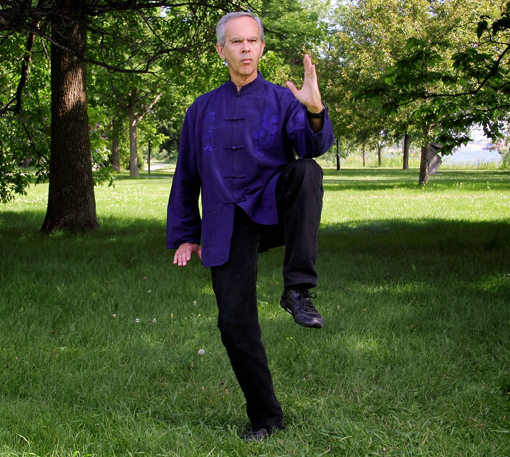 Today he is a certified teacher and affiliated with the Tai Chi Club of Montreal. Barry also practices and teaches other martial arts such as Jeet Kune Do, Kali, Savate and Wing Chung. He is also a Spiritual Healer/Teacher and performs various healing modalities such as Jikiden Reiki, Chakra and Aura healing. Danielle Kapochena is a web professional, with an interest in sea kayaking and the Arts. She began learning about Tai Chi Chuan in 2000. In 2004, Danielle learned the Yang Style Tai Chi and Chi Kong from Grace Chui and Sylvain Deschênes. Through her sifu’s never ending guidance and support she became passionate about Tai Chi. Danielle finds Tai Chi is not just a set of movements carved in stone but a steady flow of energy. Part of the practice is to be aware of our bodies, our breath and our movements in space. In every movement, the energy is different, being aware of that is also part of practice. She realises Tai Chi is a wonderful art that blends science & spirit. The mechanics of the mind with those of the body. Jérémie is a musician, author-composer-interpreter and a music coach. In 2004, due to health problems, doctors recommended exercises like Tai Chi. In Sept. 2006 he has learned Tai Chi under the instruction of sifu Grace Chui at Tai Chi Club. The teaching is precise and demanding. Since then his health has changed greatly. With the rigorous and daily practice of Chi- Gong and Tai Chi Chuan, his body started to reconstruct. In addition he also practices Hao/Wu form, weapons as: sword and sabre; Fast set, Tui Shu (soft hands/sticky hands) which brings a better understanding of the art, the energy, strength and a better posture. Zhan Zhuang (standing meditation) is also part of his regular training, which gives him the sensitivity and center physically and mentally as well. Since September 2011, he has passed all requirements to be Tai Chi teacher required by Tai Chi Club, and he has become certified teacher at Tai Chi Club. 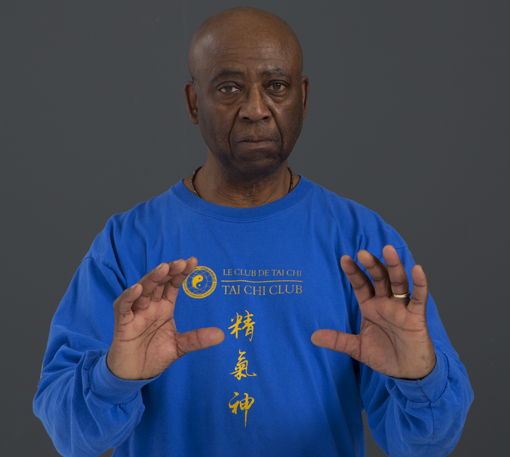 For the past few years, Jérémie has been teaching Tai Chi and Chi-Gong for Tai Chi Club and for various community centers, for senior Day Care Centers, he had also demonstrated Tai Chi at many functions and activities. Gilles Saint-Denis practice Tai Chi Yang style since 1997. He came to this discipline for its benefits in both the body and the mind. In 2005, he joined the Tai Chi Club and studied under Master Grace Chui. He improves and refines his long form. He learns the sword and saber forms, forms that develop energy. He participated in several workshops given by Master Alex Dong. He is teaching since 2011 and is a certified Tai Chi Club teacher since June 2012. He finds Tai Chi a source of immense development. Indeed, how can it be that an art issued from a so small number of basic movements can provide so many different sequences, expressed so smoothly or dynamically and where development can proceed by controlling our inner body and of our mind? Nathalie has been fascinated by tai chi since at her youth, at age of 38 she focus on learning the art of tai chi chuan. In March 2006 she has begun to learn from beginning of Yang style tai Chi Chuan under the instruction of Sifu Grace Chui. Having completed her apprenticeship, she was invited to her knowledge in teaching assistant of Helga for several years. She has invited to assist Helga for a few years. In 2012, having completed successfully the prerequisites, she received her certification as a teacher from Tai Chi Club. To improve her Tai Chi Chuan knowledge and skill regularly, she has attended additional seminars from Master Alex Dong and Sifu Grace Chui. As a complement to her art, she has also learned sword, qi-gong, and an interest also scored for Pilates and cardio workout. Richard has an easy going and patient character that has warranted the respect of his clients from his 28 years worked as a bus driver. Richard is always fond of martial arts since childhood, he practiced Sodokan Karate and several individual sports like cycling, cross-country skiing and archery (which he taught), and regularly participates in fitness center. In July 2000 he has more time from his retirement and he has learned tai chi chuan at ‘Groupe On A Du Coeur’ in St. Hubert. After 5 years Richard and his colleagues volunteered to share their passion by teaching in the group and offering outdoor initiation courses at Parc de la Cité, in Saint-Hubert. . In Sept. 2006 Groupe On A Du Coeur has affliated with Tai Chi Club. Richard has begun to upgrade and improve his tai chi chuan by learning from Sifu Grace and Sylvain. He continuously improves his posture and the control of his movements by attending additional workshops of Masters Alex Dong, Grace Chui and Toni DeMoulin. He has also learned the qi-gong, sword, sabre, Fast Tai Chi and Hao form. In June of 2012, he becomes certified Tai Chi Chuan instructor at Tai Chi Club. Cornell Stanton is a retired Royal Canadian Mounted Police Constable. He attained the brown belt in Shorinjiryu Kenkokan Karate after 6 years. After going through a series of treatments for back and knee pain, to no avail, he decided to learn Tai Chi. After 2 years of study, he noticed that the pain had subsided significantly. This motivates him to pursue his Tai Chi practice by joining ‘Groupe On A Du Coeur’, located in St. Hubert. There he became an assistant instructor until the Sifu left. Since Sept. 2006 Cornell has learned from Sifu Grace Chui and Sylvain Deschênes, to whom he finds their professional way of teaching and passion for the art of Tai Chi accelerate his passion to learn more about tai chi. He has learned the traditional Yang Style long form, Hao style, Fast set, Saber and Sword Forms. He also practices Zhuan Zhang, medication and qi-gong. Cornell continues to increase tai chi knowledge through workshops given by Master Alex Dong and Sifu Grace Chui. He became a Certified Tai Chi Club Teacher on June 2, 2012. In 2002, Daniel has discovered Chinese health system, to practice Tai Chi Chuan, which allows to develop a flexible and dynamic internal strength, optimize body functions and reinforce the immune system. This is a kind of moving meditation that helps to balance the body and mind. In Sept. 2008 Daniel has found a traditional tai chi school – Sifu Grace and Sylvain, which has taught Tung/Dong family of Yang style tai chi, he also have learned Hao form, Push hand, Fa-Jing, Fast tai chi, weapons, such as sword, sabre and double sticks, on top he has learned qi-gong. In Sept. 2012 Daniel has accepted training teacher. In April 2014 he passed successfully all requirements as Tai Chi Club teacher, and have received certification. He finds Tai Chi Club is serious of training teachers, he keeps teaching tai chi and qi-gong, to share and spread his passion of the art that brings vitality and well being. After years looking for a Tai Chi Master, 2010 Mireille Chalifour met Sifu Grace Chui at Tai Chi Club and Sylvain Deschênes, co-founder of the club. Immediately, she knew she had found a Tai Chi master who will teach her the traditional foundations of this art, and a school where she could train seriously and where her values were in harmony. 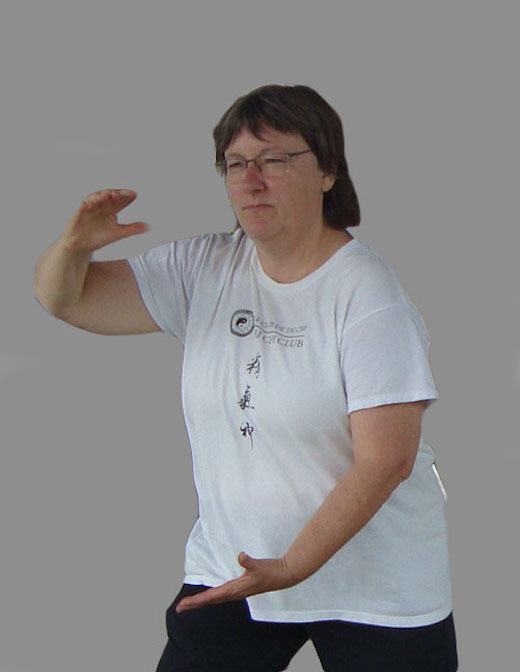 Mireille has practiced the Yang and Hao styles, Fast forms, Tai Chi sword and sticks as well as Qi Gong and push hands (Tui Shu). Shortly after, she has assisted Sifu Grace to teach Yang style tai chi. In December 2015, she has passed all requirements as Tai Chi Club teacher. 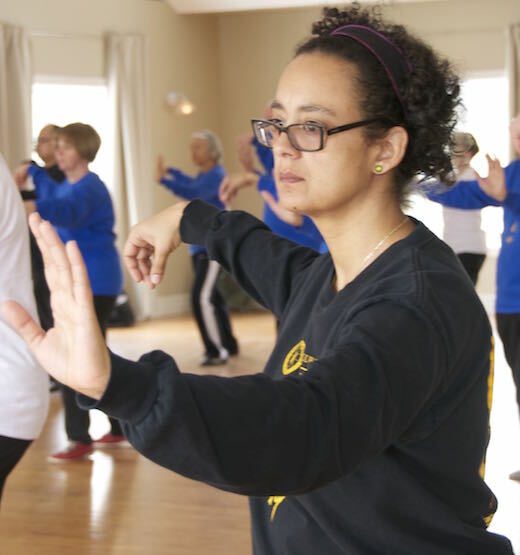 To deepen her technique and understanding of Tai Chi, Mireille regularly attends workshops of Tai Chi Club. She follows the lineage of her Sifu – the Dong (Tung) family, joining workshops of Master Alex Dong, an international Tai Chi teacher who comes from a long generation of Tai Chi Chuan Chinese masters. For Mireille, Taichi is a discipline that can work on both physical body and mind. The regular practice of Tai Chi contributes to a better flow of chi (vital energy) and thus helps in the prevention of several diseases. In addition of her regular study and practice of Tai Chi, Mireille have been practicing and studying meditation and Indian spiritual teachings for over 20 years. She also studied for a few years Japanese Martial Arts. In January 2006 Robert began practicing Yang style Tai Chi with Groupe ON A DU COEUR. In October 2010 he joined the Tai Chi Club. Under the guidance of Master Grace Chui and Sifu Sylvain Deschenes he became more knowledgeable in the slow and fast Tai Chi form, Hao, Fajin, weapons (sword, saber and sticks), Qi Gong and push-hand forms. Robert continues to develope his skills and knowledge by participating in the weekly courses and in Master Grace Chui and Master Alex Dong seminars. 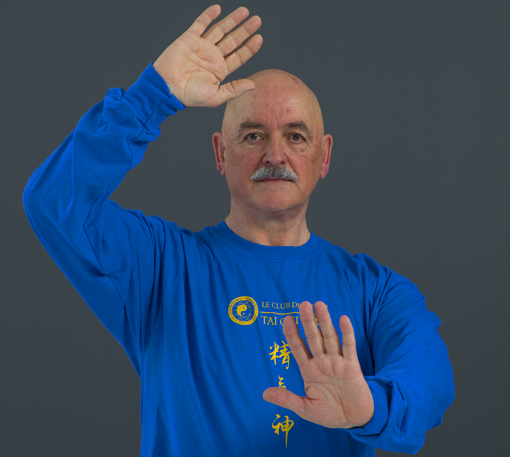 In January 2011 Robert started teaching in Groupe ON A DU COEUR and since September 2012 he has become a teachers aid for the Tai Chi Club and continues under the guidance of Master Grace Chui. Tai Chi has allowed Robert to master a better control of his body, mind and soul and allows him to live in harmony with his surroundings. 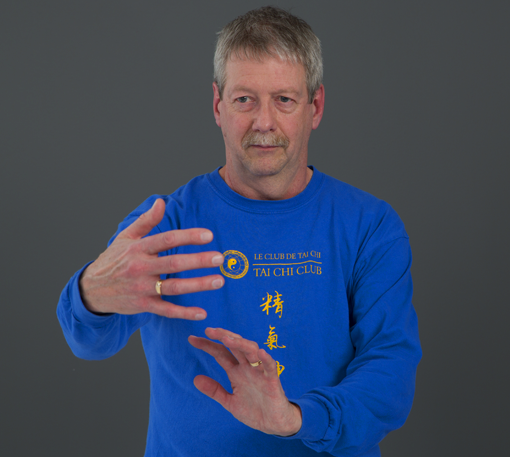 In December 2015 after fulfilling all the requirements of the Tai Chi Club, Robert became a certified Sifu and sincerely hopes to share his passion for Tai Chi with as many people as possible by showing them how this wonderful art is beneficial to our health. 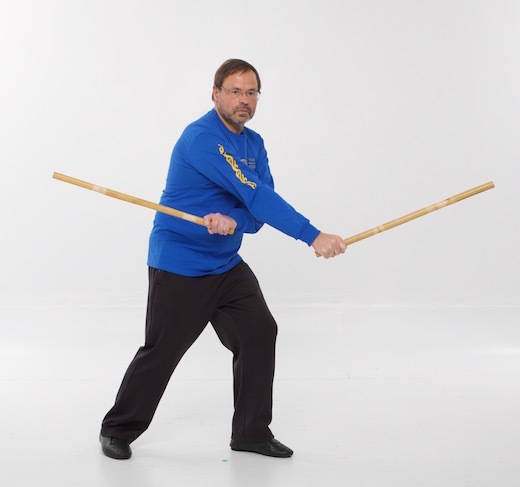 Patrick’s interests in East Asian martial arts dates back to more than thirty years. He first started to practice traditional martial disciplines as Karate-do and Kendo and is still involved today in related fields of study.